We graduated my first homeschooler this past week. What a milestone for us. Our homeschool group even had a graduation ceremony for all 8 of our groups graduates. Typically as a homeschooler we have to come up with our own ceremony and figure out the diploma, usually just printing out something on the computer. Why shouldn't these students get a beautiful diploma as a keepsake, just like other students do? Not a simple fill in the blank form that you hand to them as you grade their final test, but a Exclusive Diploma for High School that they will treasure from you own ceremony. Homeschool Diploma makes the process of ordering your diploma super easy! The website is streamlined for ease, and choices to make it truly your own. I was sent emails as the process of the diploma was getting made. They even saw that I didn't have the word "School" originally in my request and sent me an email to make sure that was the way I wanted it, or if I had just left it off on accident. Being new to the whole diploma thing I did ask what they recommended and she said that it could be either and people do do both with their personal homeschool name. I chose to go with the 'school' to make it look more professional if he ever needs to share it with a future employer or something like that. They kept me informed the entire way through the process and I received this in record time! I ordered it on the 15th, and it was in the mail being shipped on the 17th. Amazing turn around! We were blessed to be able to physically hand the diploma to our own son, a culmination of 12 years of teaching him. Next year I will be sure our homeschool Co-op knows about the Graduation Package discounts for a group. 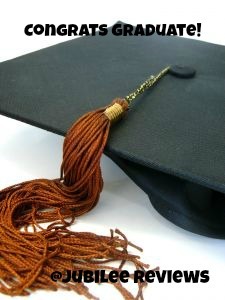 In addition to diplomas, they offer caps, gowns, announcements, class rings and other quality products for your graduation needs. Oh I can't imagine my kids that grown. He looks so grown up! What a pretty diploma! Yes, he does deserve a diploma, just like everybody else.